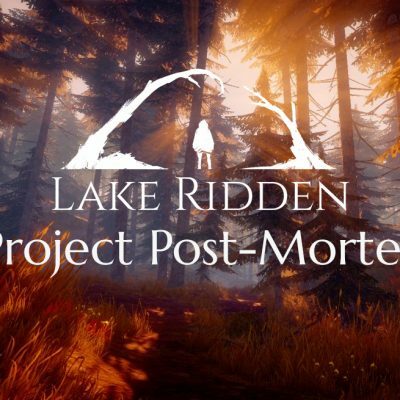 Our New Game Lake Ridden! Marie, the main character, searching for her vanished sister. It’s time to let you guys in on what we are working on! 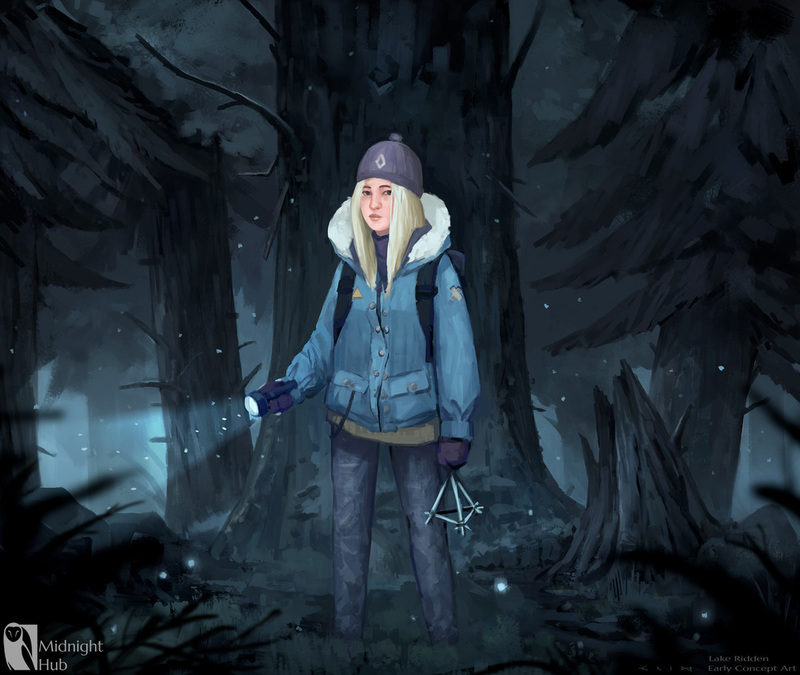 Lake Ridden is a story driven first-person horror game, set in a twisted Scandinavian forest. It will be released for PC during 2017. To read the press release, click here or scroll down on the page. While on a hike with your friends, your sister suddenly vanishes. In search of her, you encounter an old, abandoned house. To survive, and save your sister, you must piece together the dark secret of the nearby town by finding clues, solving puzzles and interacting with former residents. Uncover an old conflict driven by envy, madness and hate. You can see shadows in the darkness. Stay in the light! 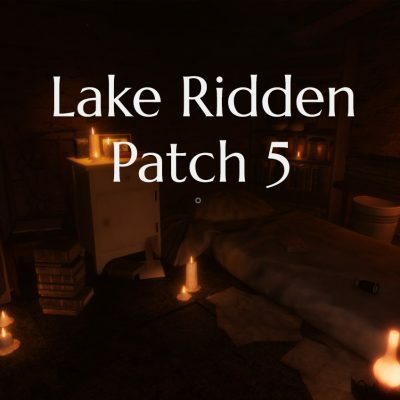 Lake Ridden is a story driven first-person horror game. We want to make a story driven game that widens our definition of a horror game. The game will be available for PC, through Steam, in 2017. Right now we’re in early development and we’ll be sharing photos and videos of the game, here on our blog, while we develop the game. We would love to hear from you so make sure to join us on Twitter and Facebook! First look at the concept art for the story driven horror game Lake Ridden by Midnight Hub. 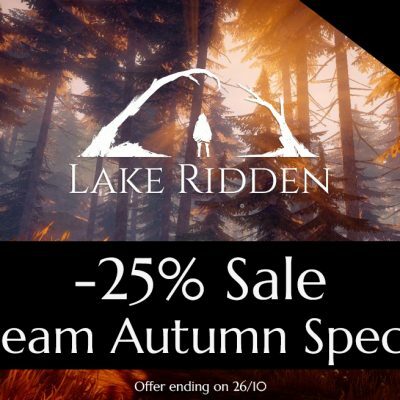 Lake Ridden is a story driven first-person horror game, set against a Scandinavian backdrop. The game is developed by Midnight Hub, the new Swedish indie studio. Founded by former Minecraft developer Johan Bernhardsson. “We want to create a different kind of horror experience, something that evokes a creepy atmosphere without relying on the usual use of blood and gore. We want to offer an intriguing story woven together with interesting gameplay. I truly believe Lake Ridden will be the perfect opportunity to explore themes such as fear, ignorance and how far our main character, Marie, is willing to go to save her sister.” – Johan Bernhardsson, creative director. Midnight Hub is a small independent studio, formed last year. The studio is located in Malmö, Sweden. The team behind Lake Ridden consists of Johan Bernhardsson, Erik Nilsson, and Sara Casén. Before founding Midnight Hub they have worked on companies such as Mojang, Paradox and Tarsier Studios. Lake Ridden will be released for PC during 2017. “We want to share the development process with the players as early as possible, since we’re convinced this will improve the game in so many ways! We are very excited to hear what everyone will think about Lake Ridden.” – Sara Casén, producer. Download the press kit from the public Midnight Hub Google Drive folder by clicking here. For more info please drop an email to: contact@midnighthub.com.